Associate justice U.S. Supreme Court, 1799-1804. Continental Line & militia officer; attorney general. Grave 2 mi. SE. 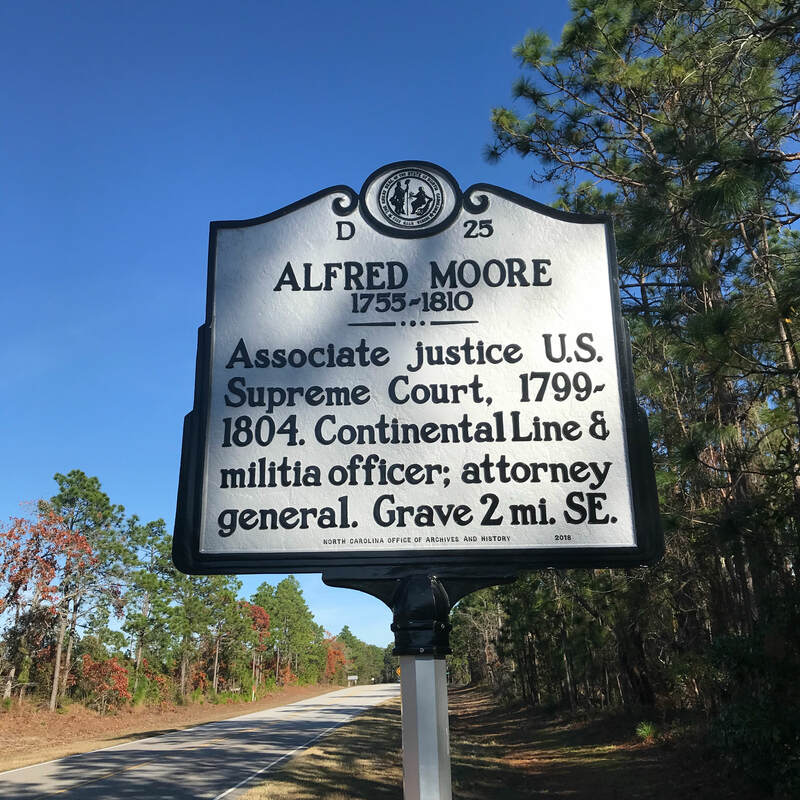 Alfred Moore, Revolutionary War officer and associate justice of the United States Supreme Court, was born on May 21, 1755 in New Hanover County, the son of Maurice Moore and Anne Grange. Moore came from one of the most distinguished families in North Carolina. 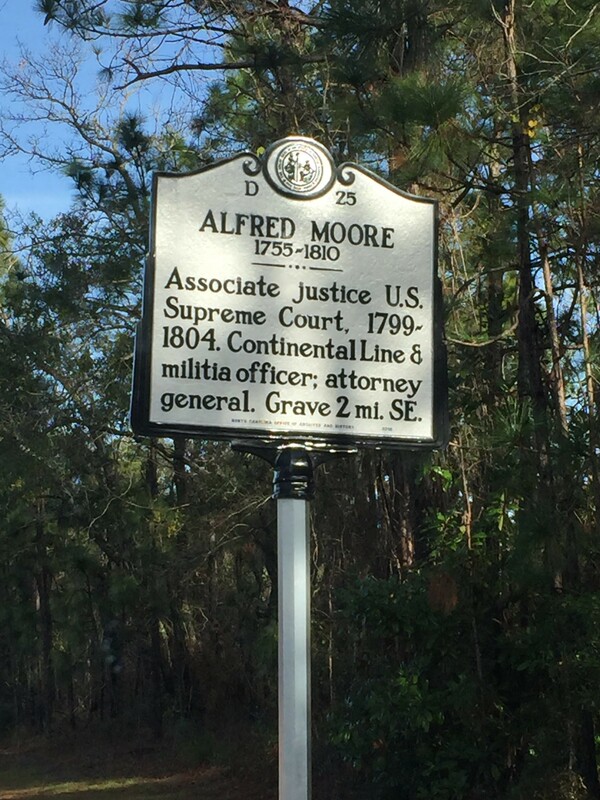 The son of a superior court judge, Moore was also the grandson of Colonel Maurice Moore the principal leader of the migration of prominent South Carolina planters to the Cape Fear from Charleston in the 1720s and founder of Brunswick Town, and grand-nephew of Roger Moore, owner of Orton Plantation. Alfred Moore’s father was a staunch opponent of British tax policies, and his opposition to the Stamp Act of 1765 caused Royal Governor William Tryon to remove him as a superior court judge. Shortly thereafter, perhaps as a result of the death of Anne Grange Moore, Maurice Moore sent Alfred to Boston to be educated. After several years of intense study of the law, Alfred returned home and was admitted to the bar in April 1775 just as war broke out between Great Britain and the colonies. Imbued with his father’s political ideals, Moore clamored for action. In September 1775 he received a commission as a captain in the First North Carolina Continental Regiment, commanded by his uncle Colonel James Moore. He saw action first at Brunswick Town in January 1776, where his brother, Ensign Maurice Moore, was killed. He then served during the campaign of Moore’s Creek Bridge of February 1776 but was not involved in the resulting battle. The following June, he served briefly in the defense of Charleston. Upon the death of his father the following year, Moore resigned his commission and returned home to manage the family estates. Although he left the Continental line, Moore remained active as a militia officer, harassing British supply lines along the Cape Fear. In January 1781, British forces under the command of Major James Craig retaliated by plundering “Buchoi,” Moore’s plantation. Moore escaped, and spurned Craig’s offer of amnesty in exchange for taking up no further arms against the Royal government. At the war’s conclusion, Moore began a lengthy career in public service, first as a state senator from Brunswick County, and then as attorney general of North Carolina, following the resignation of James Iredell. He resigned his position in 1791 in opposition to the Court Act of 1790, and in 1792 represented Brunswick County as a Federalist in the state assembly. Three years later he ran for a United States Senate seat, but lost to Timothy Bloodworth. 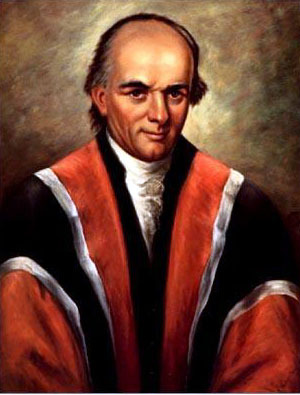 In October 1799, President John Adams appointed Moore an associate justice to the United States Supreme Court upon the death of Justice James Iredell. Although on the court for five years, Moore delivered only one opinion. In the 1800 case of Bas v. Tingy, a trial that provided for the “Quasi-War” with France, Moore declared that indeed a “partial, limited” conflict had broken out and thus had to be supported with or without the President’s support, an opinion also held by his fellow judges. Moore retired from the Supreme Court in 1804 due to ill health. He died on October 15, 1810 at “Belfont,” the plantation home of his son-in-law. He is buried in the graveyard of St. Phillips Church in Brunswick Town. Moore County is named for him.